Fast forward to 2017. The internet holds the pulse of communication, and your B2B web page is the lifeblood of your business’ success. Without it, how would your customers and potential leads find you and then understand what problems you can solve for them? More importantly, is your website generating the leads, and therefore the ROI that you expect? If not, you’re at the right place. Creating a more effective website is not the migraine-inducing project that it used to be. Following are four ideas that will make your website more effective. It can be pretty frustrating to wait for a web page to load. Same goes for visiting a site with a specific purpose, and then having to spend more than five seconds trying to find that information. Understanding what your users want, and then designing your web page in a clear and logical way to easily give them that information, is vital to creating an exceptional user experience. Be sure that your website is visually appealing, with consistent branding and a responsive design; that way the user experience will be positive whether they view from their laptop, tablet or mobile device. Ensure your site is professionally designed, includes captivating (based on your audience) copy and is error free. Your website could be your customer’s first impression. Be sure to make it a great one! 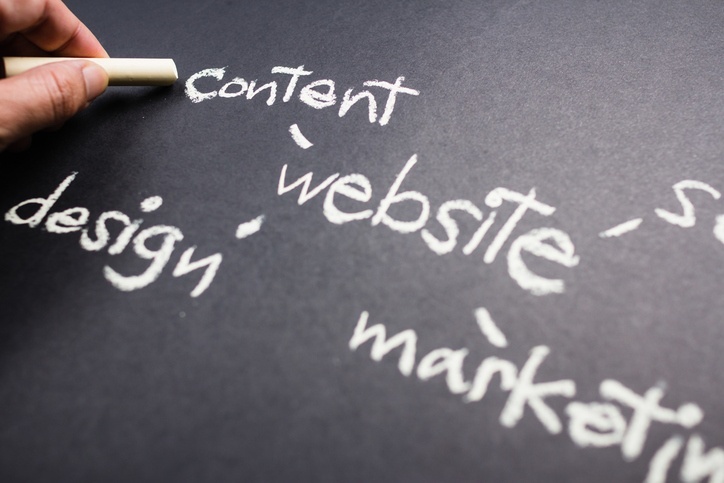 Another way to make your website more effective is to keep the content fresh and relevant. If you’re a regular reader, you’ll quickly find out that I’m a fan of HubSpot’s blog. Their content is consistently interesting and I'm alwyas able to gain a new idea or perspective after reading a blog post or whitepaper. Their content motivates me to keep coming back for more. One of the best ways to establish your website as a place to find answers is to ensure your content speaks to your customer. After you’ve established your target buyer personas, be sure that your web page text, blog posts, landing page verbiage and everything else that is the written word, speaks directly to your customer. A quick note on blogging: when done correctly, this can be one of the most effective ways to engage your website visitors, and in turn generate additional pre-qualified leads. When businesses blog, they can get 97% more inbound links to their website. (Source: Hubspot) It can seem daunting to begin and stay consistent – but it is one of the best ways to ensure fresh content. Fresh content will educate your visitor and establish you as the expert in your field, purposely moving them through their journey to eventually become a customer. It’s possible to have a beautifully-designed web page, engaging and personalized content and yet...you’re still not getting your visitors to convert to qualified leads. Have you checked your landing pages? Are they inviting your customers through an engaging call-to-action (CTA) and then moving them to take that action? In order to create an effective website that offers predictability in generating leads, visitors must be led through a clear, logical path - from entry to exit - with a conversion in between. Be sure your conversion path verbiage speaks directly to your customer, provides them with the information that will solve their problem and most importantly, speaks authentically (not “salesy”) about their needs…not what you have to offer. Make the ability for your customers to gather the vital information that you can give them, as easy as entering their name and email address. Landing page conversions are a critical step in nurturing and generating qualified leads that increase ROI. Thankfully, updating or even completely overhauling your website isn’t the 1-year monster-project that it used to be. In fact, flexible and easy-to-use content management systems used to build most websites, can be updated frequently and without too much time and energy. A goal for your business is scalable growth; it’s equally as important to ensure that your website can easily shift and change with your business, and most importantly with the changing needs of your customer. Prioritize the collection and analyzation of web data to assess what’s working and to change what’s not working. These incremental changes will boost site performance and increase your ability to generate qualified leads. Your business’ website is one of the most important marketing tools that you have – it must work for you, not just exist. Many times, it is THE first impression that potential customers see. When you invest in the above ideas to make your website more effective, you’ll generate better and more qualified leads, saving time for you and your sales staff, and ultimately increase your ROI.